The currency market facilitates the exchange of money between two countries. The presence of the foreign exchange helps maintain and stabilize the global economy. Without forex, each currency will not have relation with another. 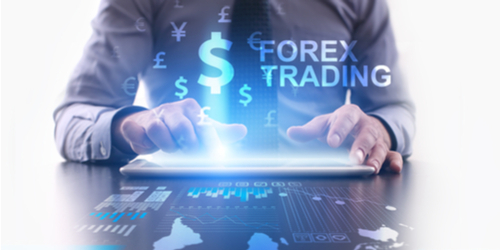 As the market grows larger every day, the need of a forex trading training becomes more important to be able to keep up to the pace of the changing market. Foreign exchange opened the door for the establishment of the free floating monetary exchange system. Because of the Bretton Woods Accord drafted in 1973, traders started to determine the value of a specific country compare to another. Since it is a free floating market, there is no single entity dictating the value of a currency. Their values are determined according to the forces of supply and demand in the forex market. When a market is freely flowing, that also means that it is always changing. That is equipping yourself with a sound forex trading training will help you stay with the game. For novice traders looking for a forex trading training program that suits their needs and style, there may be a number of options to select. With this wide array of choices, traders must be careful and should exercise caution. The best way to not fall in tarp is by having a good understanding of the subject and appreciation of the program. Forex trading is a skill. To harness it, choosing the right platform will help you enhance your abilities and decision making in trading. There are plenty of facets that one should focus in. Among these factors are the forex trade spreads and pip of the currency. Some may not be familiar about these terms but forex trading training programs also introduces learning of basic terminologies in the market. Both the pip and the spread will play a crucial role in your trading success. On top of this, trading platforms from online brokers also offer different operations, structures, execution, and customer service. Therefore, it is important to take all these elements into account before starting a forex trading training program.